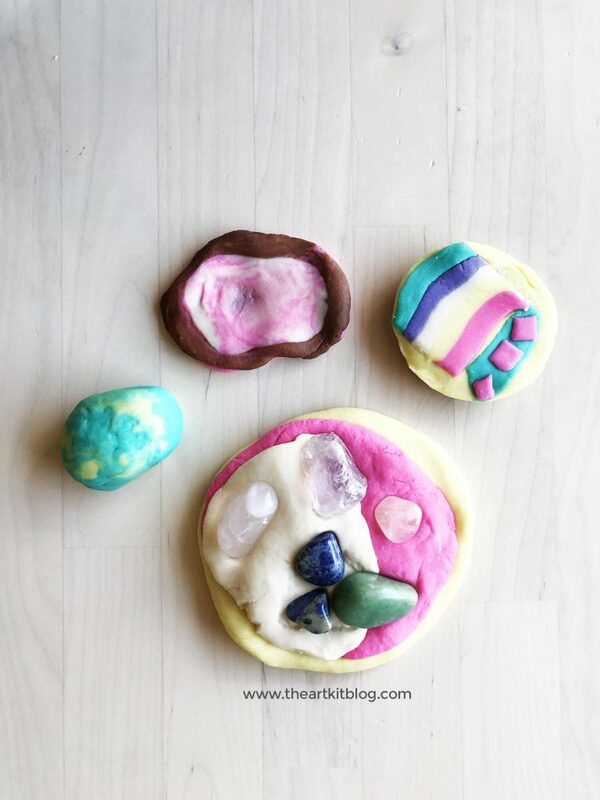 If you’re looking for a simple + fun playdough kit that will get the kids excited about rocks (not that kids need any help getting excited about rocks lol! ), you will love this book themed playdough kit based off the book A Rock is Lively. Start off with a few batches of homemade or store-bought playdough. 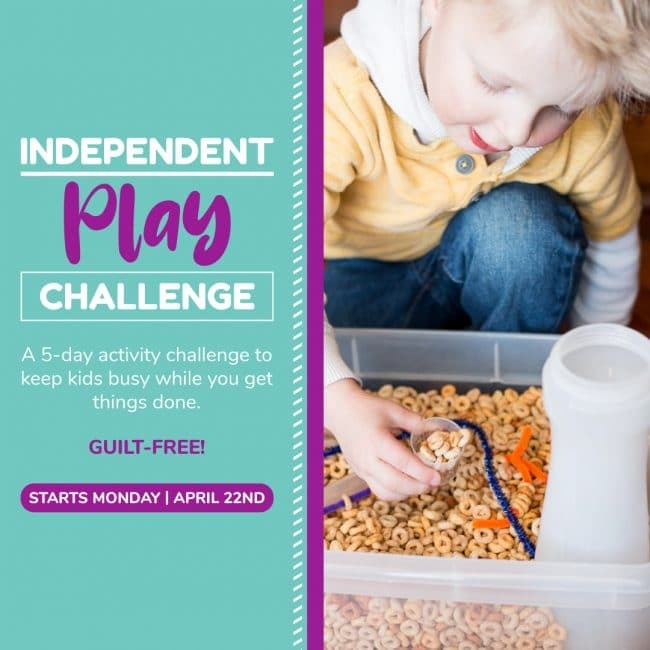 We have an super easy no-cook playdough recipe that can be made in a stand mixer or, if you’d prefer, we also have a one-pot stovetop playdough recipe. 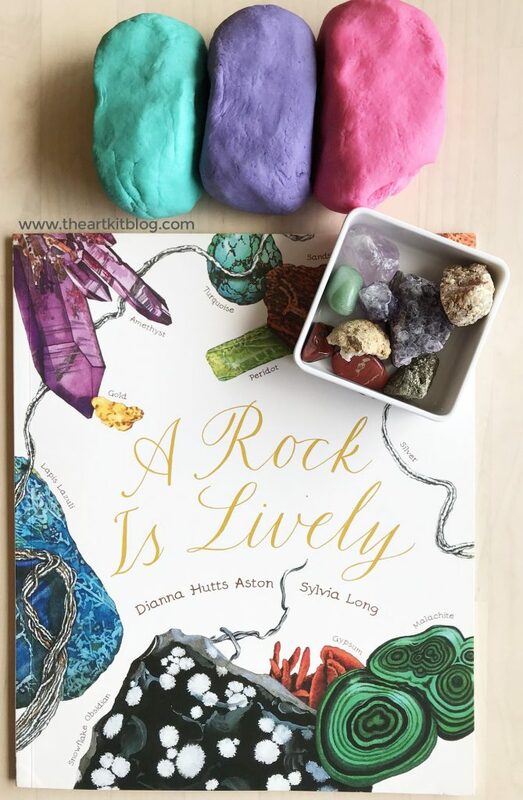 Then, while the kiddos start to sink their fingers into their squishy soft playdough, read them A Rock is Lively. The words and illustrations are so beautiful and captivating! 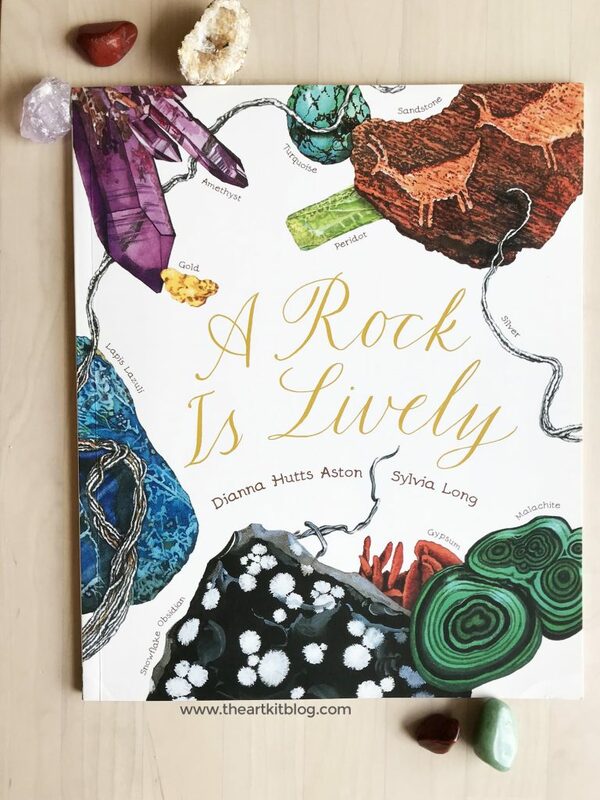 Once you’ve finished reading, invite your child to re-create a few of the rocks they learned about in the book. 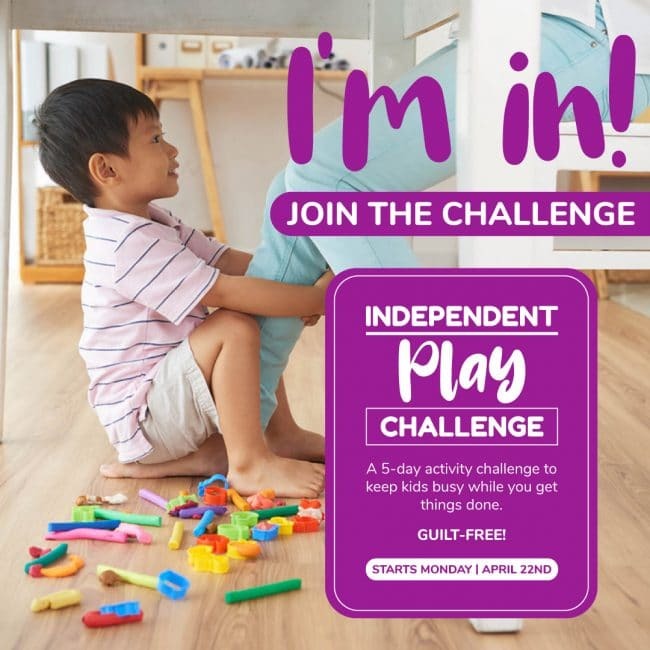 Or, for younger chiildren, they may simply enjoy pressing polished rocks into the playdough. Dancing Bear makes many wonderful rock kits for children. 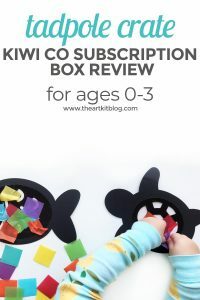 We purchased this rock kit from them last year and the kids love it! They have learned so much from it and the educational sheets it came with. « Best Ever No-Cook Playdough Recipe You Can Make in a KitchenAid!